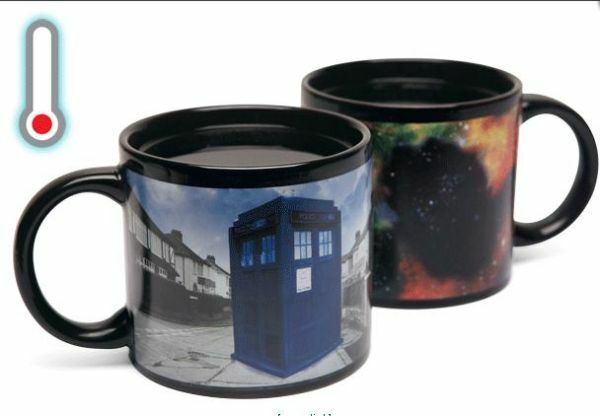 You are readingHeat Changing TARDIS Mug! Recently, a beer company came out with cans that allow the drinker to tell how cold their beer is. This is perhaps convenient for those who are incapable of effectively telling how cold the can is by feeling it. Perhaps that’s not the entire purpose; it is only there to be a cool function. 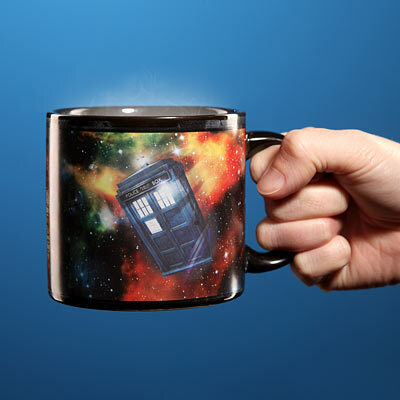 This is similar with this new Dr. Who mug. 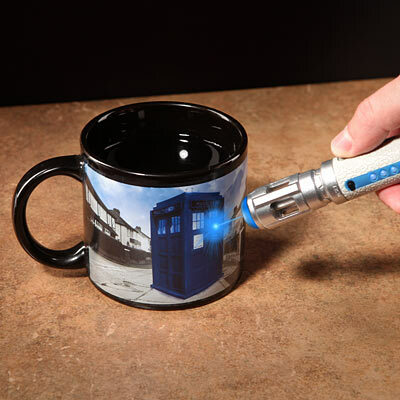 This mug is temperature-based, so when a hot liquid is poured into the mug while it is cool, Dr. Who’s TARDIS disappears from the streets of London where it is residing. It then reappears on the other side of the mug, which contains a background picture of space. This represents his TARDIS traveling. This functionality is a little different than the Coors light beer cans. Those cans were made solely for the purpose of letting the drinker know how cold the drink is, which is why the letters that appear on the can say “cold” and “ice cold”. These mugs are made for more fan-based fun. It’s like having an adventure happen on your mug while you are simply enjoying your coffee. It’s in most parts a stretch of the imagination but that is where the fun comes from. This idea of temperature changing images is not new, but it seems to have become more frequent. This is not, of course, a bad thing. It would be interesting to see how people think of new and creative ways to incorporate the idea into their products. 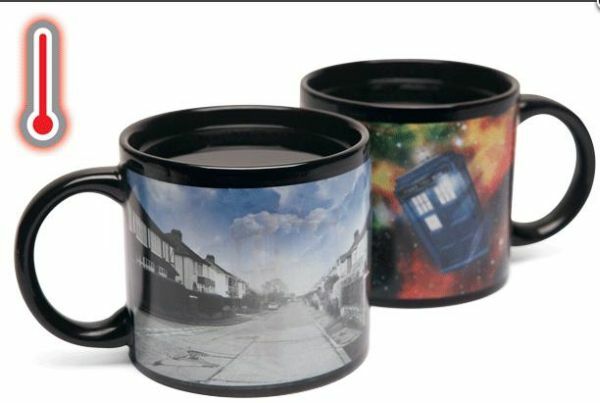 Perhaps we will get more fan-based products like this Dr. Who mug. Who would say no to that? The mug wouldn’t have been able to sell if it had a picture alone, the temperature changing picture is an added bit of fun. It runs for only $10.99 . For more unusual mugs, you can check out this bacon mug or this Facebook mug.